DTSBDC at the National Portrait Gallery. Photo by Jeff Malet. Just about no one will deny that our world feels incredibly divided right now. Geo-political and intercultural tensions can seem to rise by the day. What can help, we wonder. Often, greater understanding through direct contact with individuals from a different culture or worldview can be a powerful force for bridging divides. Recent research in political science, for example, has shown that even brief conversations about how a public policy has directly impacted someone else’s life can lead one to reconsider or refine his or her own (perhaps opposing) viewpoint on a particular issue. Dana Tai Soon Burgess rehearsing dancers. Photo by Matailong Du. There may be no more powerful force for understanding and connection than moving together, or witnessing another move. Apart from creating images and tools, there may be nothing more ancient and innately human. Modern neurobiology is discovering more and more how powerfully movement can connect us — at any age or physical condition, regardless of race, class, religion or any other defining human factor. 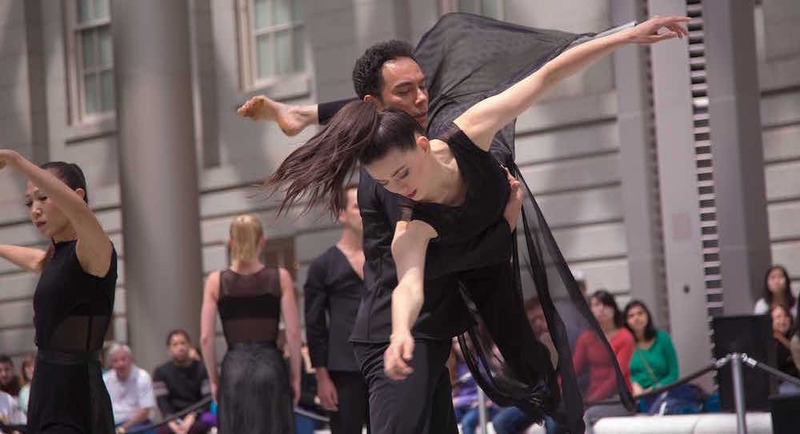 Three American dance companies are working through their dance diplomacy programs to build and strengthen such intercultural connections: Dana Tai Soon Burgess Dance Company (DTSBDC) in Washington, DC; Jean Appolon Expressions (JAE) in Boston, MA; and ANIKAYA Dance Theater (ADT) in Boston. These are three different models, yet achieve similar goals through similar underlying beliefs. Dance diplomacy is based on “friendship building and building trust,” explains Dana Tai Soon Burgess, founder/director of DTSBDC and its dance diplomacy program. “It creates a better sense of understanding between nations, because we know that dances come from social context,” he explains. “It allows us to get a better sense of a culture’s social mores. For 20 years, DTSBDC has traveled far and wide to many countries, from Peru to Cambodia to Egypt. 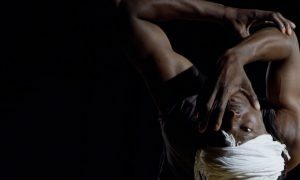 Tai Soon Burgess and company dancers offer workshops, performances and more – “whatever we can do to amplify engaging communities and communication through the medium of dance,” he says. Wendy Jehlen with collaborators in rehearsal for ‘Conference of the Birds’ in Brazil. Photo courtesy of Jehlen. Wendy Jehlen, founder/director of ADT, also emphasizes the power of dance for intercultural communication. With dance “comes real communication,” she asserts. “It’s a fusion that’s not superficial. It’s not quite breaking down barriers but showing how the barriers that were there were just constructs,” she adds. ADT operates under a model of shifting partnerships and collaborations between Jehlen and other artists. In this work, she has rehearsed, performed, taught and more worldwide. Current projects include those in Turkey, India and Brazil. She’s also working on a protest performance with the most lauded Butoh artist in Japan, performed there in November, and afterward in the U.S.
JAE has a specific annual dance-educational program for the youth of Haiti, Appolon’s home country — including yoga, Haitian traditional dance and Horton technique — in a two-month Summer Dance Institute (at eight hours every day, with lunch provided). Company dancers and volunteers help these days run smoothly. Appolon notes how attendees significantly grow in artistry and technique, yet also “pay it forward” as they grow older — opening up dance studios and clubs or teaching yoga in their communities. Jean Appolon Expressions’ dance diplomacy program. Photo courtesy of JAE. Despite this ability for dance diplomacy to have positive effects on the communities where it takes place, it shouldn’t be taken as a given. Tai Soon Burgess notes that it shouldn’t be a one-sided relationship. “Are there chances for reciprocity? Is it possible to have dancers from countries you visit come to America?” he asks. He also notes the importance of cultural sensitivity and knowledge. He and other company officials do a good deal of research before the trip about the country to which they’ll be going before the trip, and they fully educate company dancers. Jehlen adds that it’s important to do a lot of “humility work”, to not come to another country with a superior attitude, as well as to work on recognizing one’s privilege. As further helpful advice for those seeking to build international dance initiatives, she explains that it’s important to “have a dependable day job that’s flexible, [because] there’s no way to survive as a dancer doing this international work, unless you only want to do small things.” Getting a bit deeper into the finances of international projects, Jehlen shares her experience that crowdfunding is actually the least successful method of fundraising. 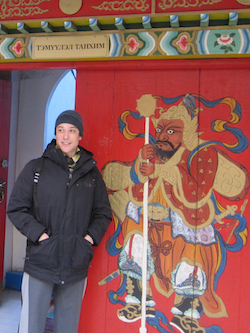 Dana Tai Soon Burgess in Mongolia. Photo by Laura McDonald. Grants can be very helpful, she’s found. They are often a good amount of work, but they are allocated funds that, once granted, are guaranteed. Yet other company models might have more success with individual donors. These three companies have successfully shared dance worldwide, all in their own ways. It’s clear that dance diplomacy doesn’t have to be one thing. In fact, it may have farther, wider and deeper reach the more diverse it is across the globe — company by company, country by country, city by city, village by village. Appolon hopes that “one day, access to good dance training will be open to every kid in Haiti, because they deserve it.” For that matter, people around the globe deserve the whole-person health, joy and connection to others that dance can provide. It’s not up to Americans to tell those in other nations what that should look like, but we can search for it with them. We can dance with them to celebrate the goodness in today, and toward a better tomorrow. What’s it like to lead a ballet company for 58 years? Herci Marsden knows.